You can't absorb calcium without vitamin D. An egg and cheese sandwich combines the two. Maggy Doherty, a registered dietitian with Parkland Hospital System, says nutrients in food require various elements like vitamins and minerals to help absorb them into our bodies. "Theoretically," she says, "you can pair certain foods with vitamins and minerals to maximize absorption." But several factor can affect how well this works, such as whether the food source is animal- or plant-based, how the food is cooked, certain medications and certain diseases, like Crohn's. • Eat lots of food sources — meats, vegetables, dairy, grains and lots of colors. • Don't follow fad diets that completely eliminate certain food groups. • Don't use supplements unless you have been diagnosed with an actual vitamin deficiency. Listen to the Interview with Parkland Hospital Dietitian Maggy Doherty. How food combos work: Vitamins and minerals may have a certain bio-availability — meaning, how much of that you can actually absorb. There are certain factors within that mineral’s absorption pattern inside our intestines, inside our body. And basically if you give that body a mineral it needs to convert from point A to point B in its absorption, you can increase how much of that vitamin you’re actually going to metabolize. Where the source comes from: An animal-based source may be better absorbed than a plant-based source. How it’s cooked may increase or decrease its vitamin content. Malabsorption diseases and various medications may block the metabolism of certain things. 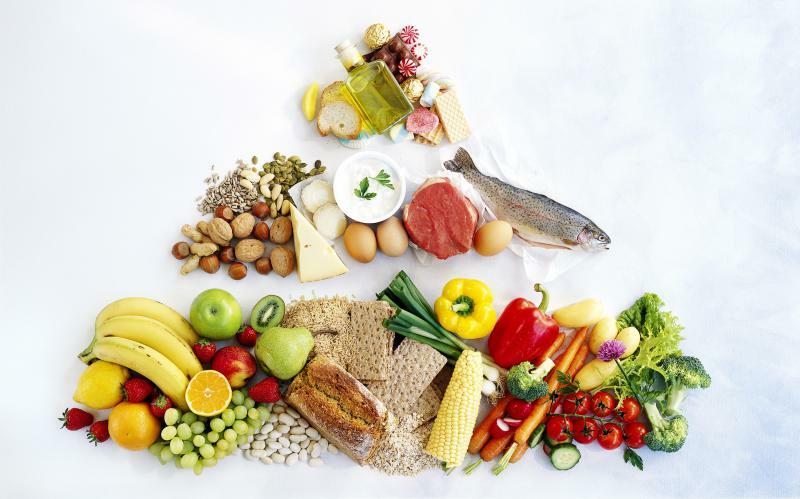 About vitamins: You have water soluble vitamins and fat soluble vitamins: Your fat soluble vitamins are vitamin A, D, E and K. They’re absorbed better when eaten with a source of fat. Carrots roasted with olive oil. The oil’s a fat source. Vitamin A is in the carrot. Eggs are a good source of vitamin D. A burrito with avocado and egg provides a fat source and vitamin D.
Vitamin C and iron: Eat fortified cereal that’s iron-rich for breakfast with a cup of orange juice. Vitamin C can help you absorb more of iron when it’s from a non-heme, or plant-based, source. It can increase the absorption when it’s being digested, so vitamin C and iron need to be eaten at the same meal. Calcium and vitamin D: Pair egg and cheese in a sandwich. The egg has the vitamin D and the cheese has the calcium, it’s they're good combination together. Your body can’t absorb calcium if you don’t have any vitamin D. Vitamin D comes from the sun but also from animal sources like egg yolk, fatty fish and liver. Complimentary proteins (for vegetarians or vegan): Proteins are made of different amino acids - non-essential amino ones your body can make and essential amino acids that have to come from food. Complete proteins have all the essential amino acids. They’re in a lot of animal and dairy products. If you don’t eat those, you’re not going to get complete protein sources. Incomplete proteins are typically in plant-based sources like beans, rice, seeds and vegetables. If you take two incomplete proteins with different combinations of those amino acids, you can pair them together to make a complete protein. Examples: Rice and beans together or peanut better on a whole wheat sandwich can make a complete protein. One item to skip in food combos: Alcohol. It really inhibits the absorption and digestion of a lot of B vitamins. Patients with any type of alcohol dependence is more likely to be deficient in certain vitamins because they don’t absorb them as well. Looking for a diet that is simple to follow? You might want to give the Mediterranean diet a try. It's not so much a prescriptive meal plan as it is a well-balanced pattern of eating. Think lots of whole grains, vegetables, beans, nuts, olive oil, fish and smaller amounts of dairy, poultry and even a little red wine (if you like). On Nov. 19, Bonton Farms will open a market and cafe, in a neighborhood that's long struggled with access to fresh, healthy food. The hope is to inspire residents to make lifelong changes.